This listing includes both creamers shown. 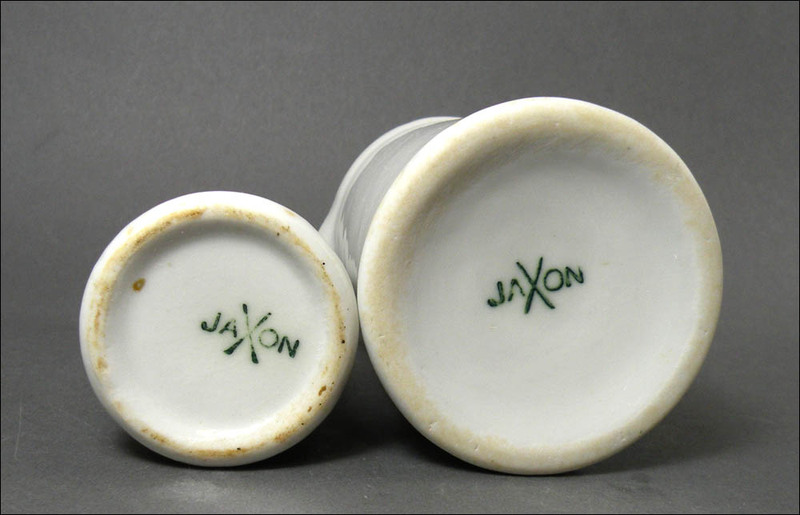 The white one is crazy heavy for its size, which is typical of most of JaXon's ware. It is 2 1/2 inches wide by 3 1/4 inches high, in excellent condition with medium all over use marks. 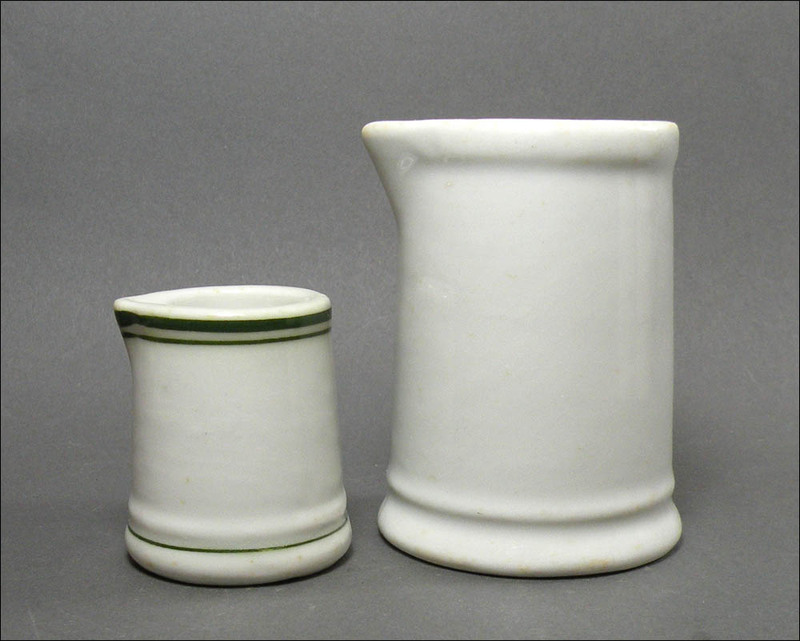 The small green-lined creamer is 1 3/4 inches wide by 2 inches high, and its condition is also excellent with light-to-medium all over use marks.